DAVID LE/Staff photo. 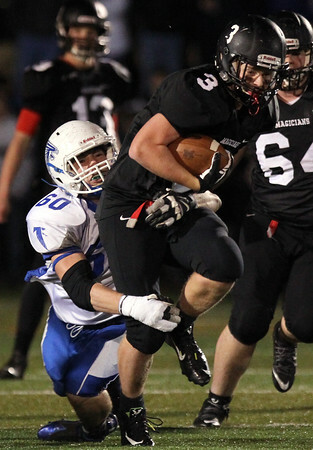 Marblehead junior wide receiver Harry Craig (3) plows forward while being brought down by Danvers senior Zach Schutz (60). 11/13/15.